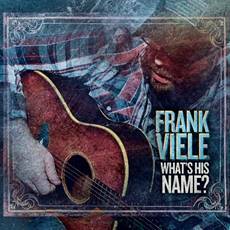 Frank Viele is a soulful roots/blues artist from Connecticut and has recently released his latest album "What's His Name?". Frank has won multiple New England Music Awards and has been playing dates with Lee DeWyze of American Idol fame this winter. Up until now, Frank Viele has been something of a regional secret throughout New England. 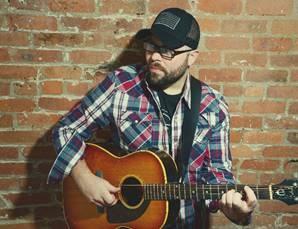 His quadruple-threat reputation as a singer, guitarist, songwriter and performer is unrivaled in the region, as recognized by the New England Music Awards with nods for Album of the Year, Male Performer of the Year and Live Act of The Year. "What’s His Name?" is a personal tour de force of passion, candor and craft. Viele’s singing is unforgettable — rough-edged yet nuanced, straddling that line where poetic interpretation and raw emotion meet. The impressions he made during his early gigs broaden on What’s His Name? Rugged Americana, deep blues and gut-wrenching soul create a potent new brew on “Cigarettes, Throwing Stones, & Lies.” Unlikely elements — a gentle groove kissed by congas, a milky bass tone and wind chimes — caress Viele’s anguished romanticism on “If You Could Only Read My Mind.” Those same sentiments take on an even sharper edge when lashed with earthy lie guitar and stirred by churchy harmonies on “Till The Bourbon’s All Gone.” The sting of betrayal turns up the heat even more over a thumping funk groove on the title cut. And one track, “Pomegranate,” stands out from anything Viele has done before, thanks to the strings that augment the reflective lyric, courtesy of arranger/cellist Dave Eggar (Ray Lamontagne/Coldplay/Pearl Jam). Directed by Angelus Tamerlane Baily, “Swampee” takes you on a psychedelic trip with germy little swamp creatures as they rock n’ roll their way through the polluted rivers and slimy pipes of Los Angeles. The band of misfits jam to the energetic blues-infused rock track as they float through muddy, trash infested waters. The colorful, off-kilter visual lends itself to the story of Swampee, a devil that wanders the criminal underbelly of the Los Angeles river in search of souls to corrupt. Wrapped up in killer set design, kaleidoscopic graphics, and some seriously hard rockin’ hand puppets, “Swampee” is an unexpected and entirely enjoyable visual ride. Award-winning blues band Johnny Fink and The Intrusion recently released their debut album, simply titled "JFI." 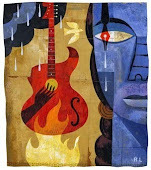 The group was known for years as the best-kept secret in the mid-western scene among blues and blues-rock enthusiasts. 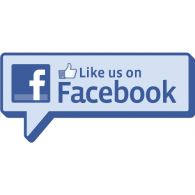 That is, until they won the 2015 Cincy Blues Society Band Challenge and made the semifinals at the 2016 International Blues Challenge in Memphis. Then, Johnny himself won the 2016 Cincy Blues Challenge in the Solo category and the band won the 2016 Dayton Ohio Blues Challenge, subsequently reaching the finals at the 2017 IBC. The first single from the album, "Let's Hear Some Blues," was included on the compilation disc featuring artists from the 33rd IBC, receiving rave reviews and tremendous airplay. 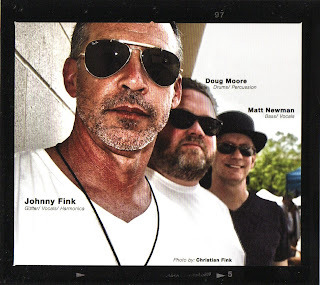 "JFI" won the 2017 Cincy Blues Society award for Best Self-Produced CD. The Smoky Mountain Blues Society says of the band, "Johnny Fink and the Intrusion will shuffle you right into the road." And the Cincinnati Blues Society says of the new album, "From fist-pumping anthems to soul-touching blues, this album is a work of art." The "secret" is definitely out. 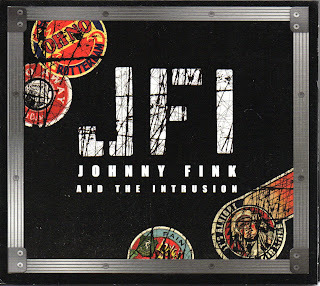 Marty's review: JFI deliver their brand of rootsy, blues-rock on this their debut album with a confidence and energy that makes them sound a little bit cocky but deservedly so. With a tight production that's also straight to the punch these guys know their blues and know how to deliver them. 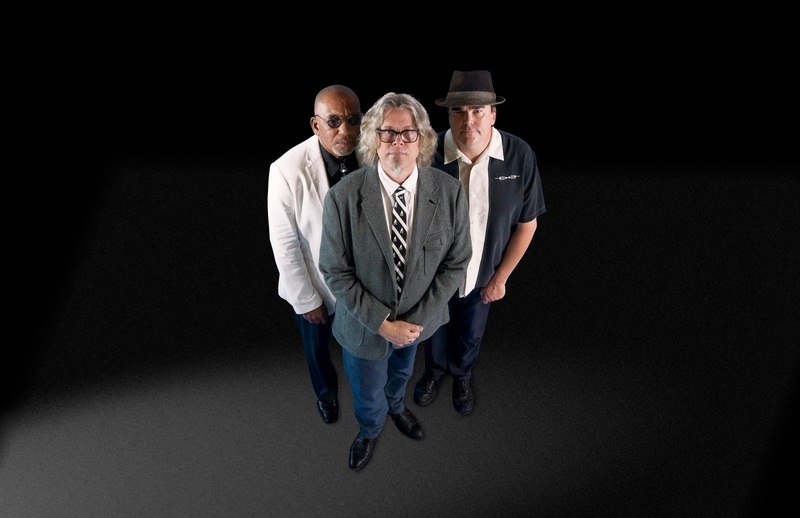 The nine all-original tracks display their cohesiveness and musicianship with an edge that will please blues fans and certainly earn them more. Made up of award-winning musicians and recording artists from a variety of diverse backgrounds, The Urban Pioneers are an eclectic, wildly entertaining, little (and sometimes big) band with a captivating singer and front-person. 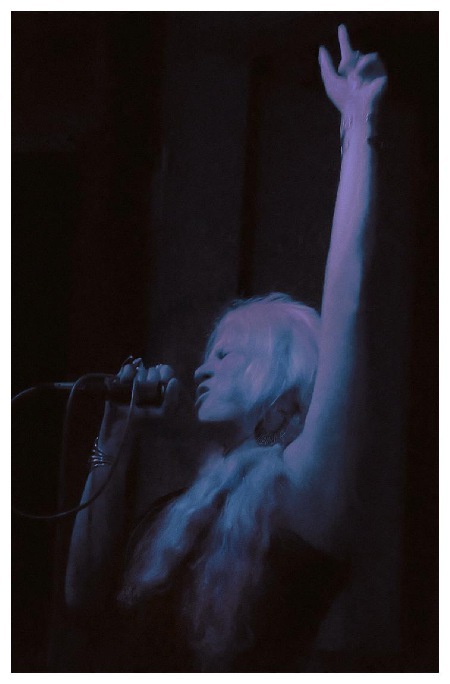 Lex Grey is a multiple ASCAP award-winning songwriter who beckons audiences into her world of personal stories cloaked in smoke and stage lights -- a world of drama, humor and rowdy abandon that makes music lovers feel as though they're doing something wrong just by listening. The band juxtaposes bawdiness with intimacy, introspection and a vulnerability that draws you in like a warm embrace. Having earned a reputation as a legendary live band with a dazzlingly theatrical show, the group emerges from the studio capturing live performances that constantly deconstruct and reinvent their palette of sounds. 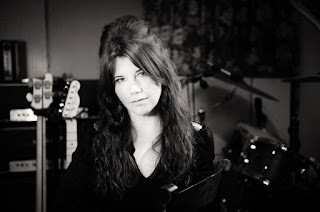 Though she cites Ma Rainey as her greatest inspiration, Grey's vocal stylings have been compared to those of Janis Joplin, Joe Cocker, Ella Fitzgerald, Shirley Bassey and, interestingly, Robert Plant, her voice an ever-morphing instrument that changes textures and tones on a dime. "Usual Suspects" fearlessly dances through genres while keeping its feet firmly rooted in blues, and it's certain to become one of the year's most talked-about blues releases. "I was immediately drawn into the world of this band, in part because of Lex Grey’s voice, which commands attention in both upfront and sly ways." "Starting from a blues base, Lex Grey and The Urban Pioneers develop a multifaceted style with a prominent rock influence. Excellent instrumentalists." 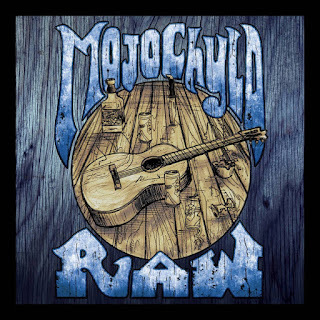 Austin-based blues band Mojo Chyld album release "Raw"...soulful blues-funk that rocks! Mojo Chyld is an Austin-based blues band that brings a soulful yet funky blend to the historic genre. They perform a mix of original songs and the classics. There are currently five members that make up the collective and each brings his own experiences and vision to the table to form a dynamic groove that not only packs the dance floor, but keeps it rocking. Their Blues will Rock your Funky Soul! 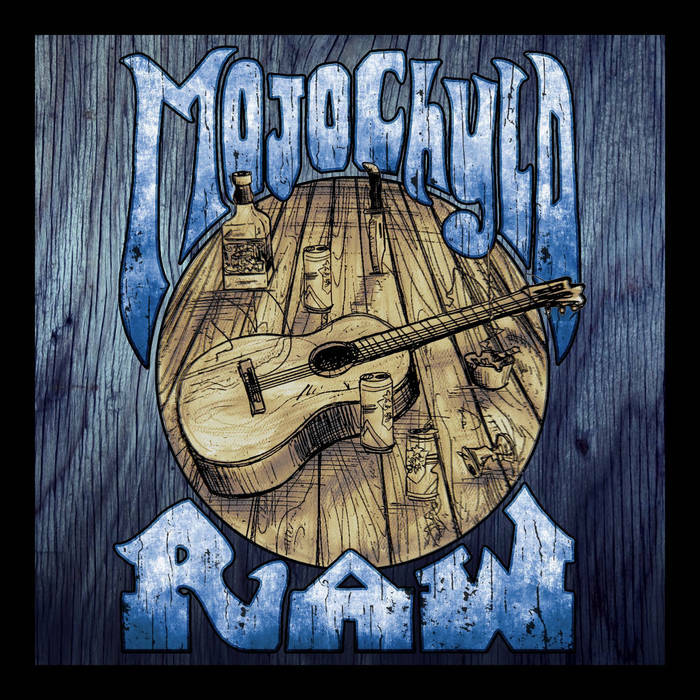 Marty's review: "Raw" is an apt title for this latest release by Mojo Chyld. With their brand of funky, soulful blues-rock they deliver an album of roots based blues with oomph and pizzazz that will please blues fans in many ways. Hot, fuzzy guitar licks combined with a tight rhythm section, passionate vocals and topped with oodles of funk and psychedelia, this album covers all bases and will rock the foundations wherever it's played. Linda Em is a London based Irish singer-songwriter, wordsmith and clairvoyant mysticist. From classic Woodstock era songwriters to Jazz era greats and modern day luminaries, Linda draws from her influences an ethereal energy flow that is evident in voice and song. She has been described as a musical hybrid mix between Patti Smith, Patsy Cline & Beth Gibbons possessing the intoxicating nuances of Billie Holiday. After Janiva Magness added a 2016 Grammy® nomination to her 27 Blues Music Award nominations – with seven wins, including Entertainer of the Year – she might have taken at least a short rest on her laurels. Instead, one of the preeminent voices in contemporary American roots music has raised the bar for herself. Magness’ fourteenth album, "Love Is an Army," is a brilliantly crafted bridge between the past and present, blending the echoes of classic soul and country music with timeless themes of love and the very contemporary sound of protest. 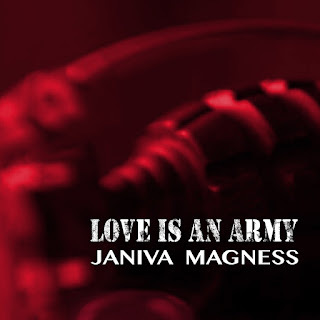 The dozen songs on "Love Is an Army" reverberate with the timeless character of the Memphis rhythm and blues patented by the Stax and Hi Records studios, especially in tracks like “Back to Blue,” which opens the album and sets its tone, and “Hammer,” which features fellow Grammy® nominee and multiple Blues Music Awards winner Charlie Musselwhite on harmonica. Another Tennessee music city, Nashville, is the geographic touchstone for the title number, a duet with Texas singer-songwriter Bryan Stephens, and for “On and On,” with Poco front man Rusty Young on pedal steel guitar. Like Magness, both Stephens and Young are on Blue Élan Records. Other guest artists include the legendary R'n'B singer Delbert McClinton, Mississippi hill country blues torchbearer Cedric Burnside, bluegrass guitar and banjo virtuoso Courtney Hartman of the band Della Rae, and pianist/songwriter Phil Parlapiano. 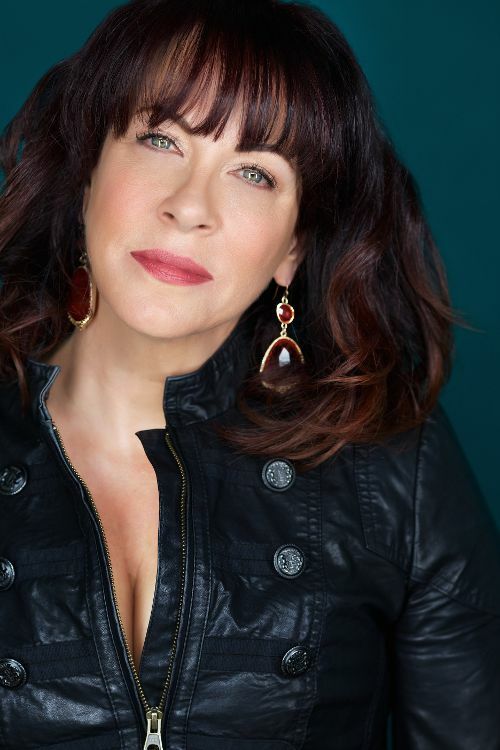 Marty's review: Janiva Magness shows her best on this release by blending all her favorite styles of music from roots to soul to country to produce an album that is every bit a winner in all departments. With a sterling cast of guest players along with a top notch backing band and her own classy vocal delivery, this release shows why Janiva is such a well lauded artist.